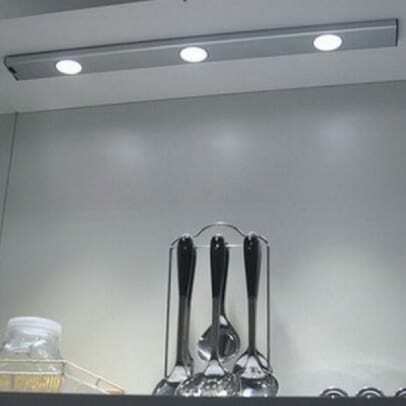 You might know Excel Hardware as a leading kitchen hardware design and manufacturing company, but they also provide products in the LED lighting market! They have got a diverse and unique collection you can choose from. From under-cabinet fixtures to variations of spot-lights, they’ve got an extensive collection that covers all facets of home interior designs. 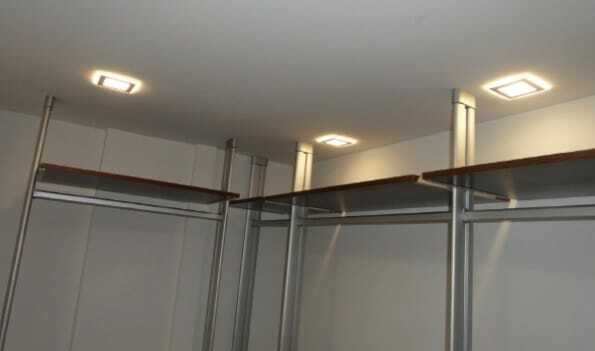 However, Excel’s LEDs are most suited for their Walk-In Wardrobe Pole Systems. 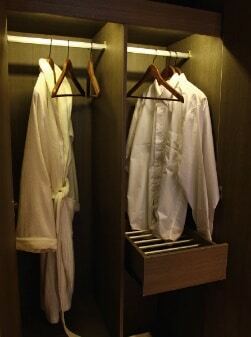 These lights are activated by motion sensors and all their wiring can seamlessly be incorporated into the wardrobe systems. You can activate these lights by simply moving your hand near or removing something from the shelves. All of their products are high-quality and provide excellent visual aesthetics. Further, we’ll be looking at what Excel’s LED collection has to offer, and which one would be best for what purpose! Under-cabinet lights are functionally and aesthetically relevant these days. 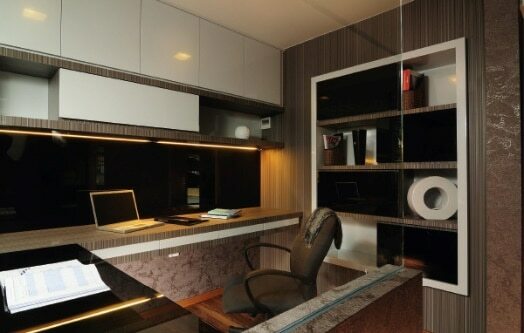 They’re helpful for lighting the space beneath shelves and cabinets and contributes to the visuals in the process. 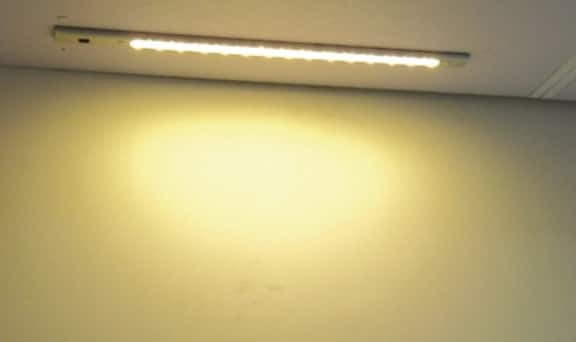 The Excel LED Under Cabinet comes with 48 LED pieces and suitable for being installed under all manner of cabinets, closet shelves, wardrobes, showcases and even a few choice furniture pieces. 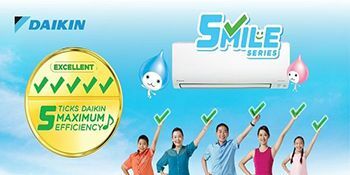 It is ultra-thin and very easy to install! Built in the shape of a conventional spot-light, the Excel LED Ultra-Thin Round Light features 12 pieces of LEDs in a single fixture and looks quite stunning when installed in the preferred location. It is available in both cool and warm temperatures and is suitable for being installed under cabinets, inside closets, wardrobes, and showcases. 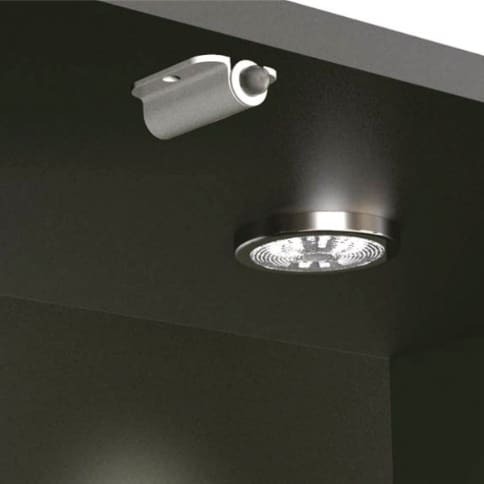 Excel’s LED PIR Sensor is a motion sensor light that glimmers on when it detects any motion within a certain radius. It’s highly efficient, can save you a lot of electricity in the long run, and is visually pleasing to boot. 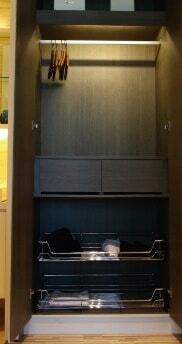 It can be installed in closets, wardrobes and even under cabinets if the situation calls for it. Its sensing distance is 3-5 meters, so you won’t have to worry about bumping into pieces of furniture when entering a space. 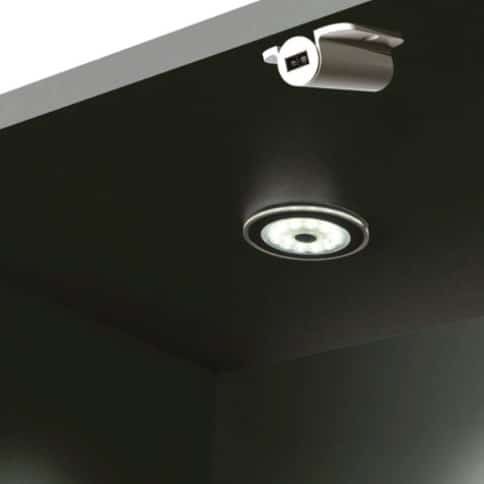 With a power consumption of 15 watts, the IR Sensor for Door Contact is one of Excel’s most innovative fixture. It is motion sensored and has a sensing radius of around 30-60mm. It can be installed on elaborate door architraves and foyers/entrance lobbies. With this, it will never be dark when you get home. Excel’s LED Strip Light borrows from the conventional fixtures and provides great aesthetical beauty to any place it is affixed on. 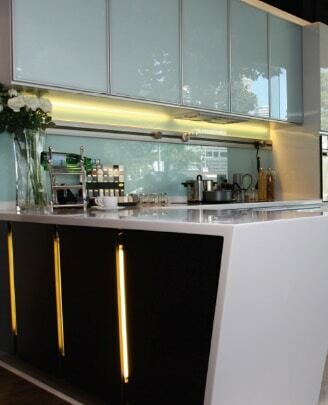 It is ultra-thin and can easily be installed under all sorts of cabinets, shelving, and furniture. 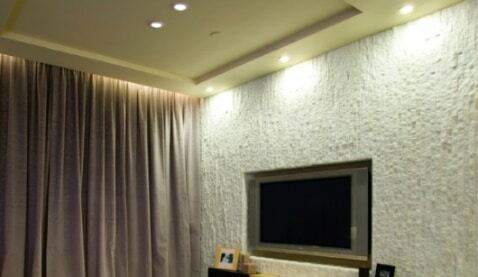 It gives the effect of recessed ‘cove-lights’ that give your space a look that seems like it’s lit from within. The Square Delight is a straightforward LED light fixture that is perfect for ambient illumination. Each fixture consists of 24 pieces of LEDs and emits a cool white light temperature. It is extremely thin, lightweight and an innovative fixture that emits high and even lights with a low heat output. It’s ideal for lighting up wardrobes, decorative displays, showcases and even furniture. 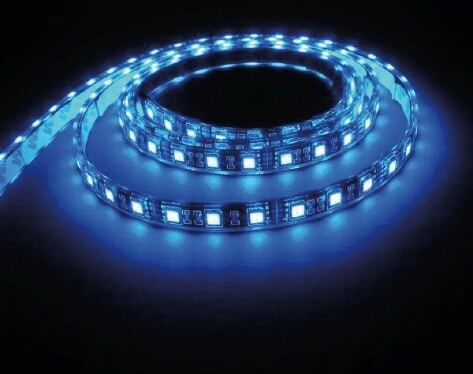 The Luminescent Runway with sensors consists of around 30 pieces of LED and consumes 6 watts of power. It is available in both warm and cool light emissive fixtures and is made of high-quality acrylic and aluminum. It is an innovative fixture with an ultra-thin body and a lightweight profile. It can be installed in relevant furniture pieces, inbuilt shelving, wardrobes and display/showcases. This is a motion sensored light fixture that contains 9 pieces of LEDs and is made up of quality aluminum and acrylic. The aluminum heat sink used in this fixture is great for controlling heat dissipation. Moreover, it is ultra-thin and lightweight – which makes it perfectly suitable for modern and contemporary interior designs. It is available in both warm and cool light temperatures and is perfect for installing in furniture, wardrobes, and display showcases. 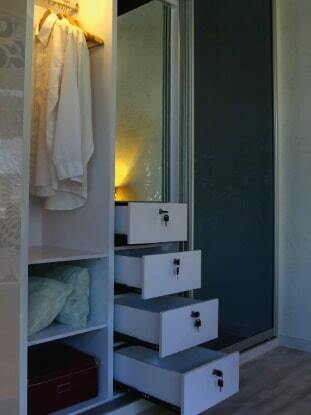 For those who hate sifting through their wardrobes in the dark – rejoice! 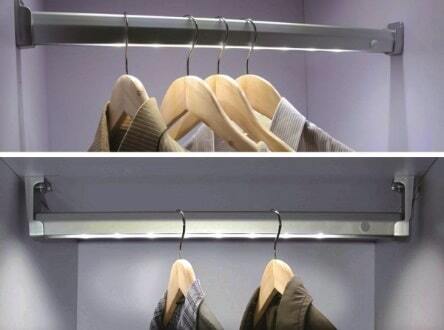 The Excel LED Wardrobe Hanging Rod comes with PIR sensors and is a state of the art fixture. Its innovative design is highly pragmatic, easy to install and trendy in aesthetics. Its motion sensors kick in the moment you pull open your wardrobe, so you’ll never have to suffer from poor wardrobe choices due to the dark interior of your fixture! Down Lighters are in high demand these days because people want to illuminate all the dark nooks and alcoves of their homes that make everyday affairs harder to accomplish. 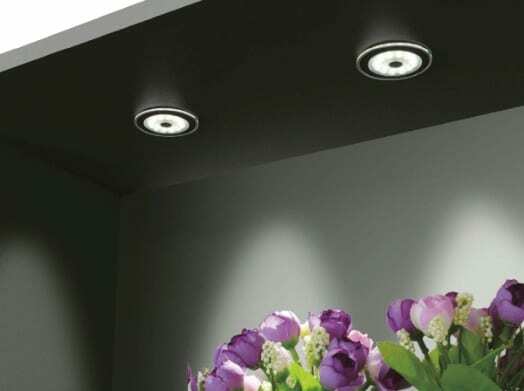 Excel’s LED Down Light is perfect for installing under kitchen cabinets and bathroom vanity cabinets. Each fixture consists of 24 LEDs and emits a cool white light – perfectly pragmatic and visually pleasant. 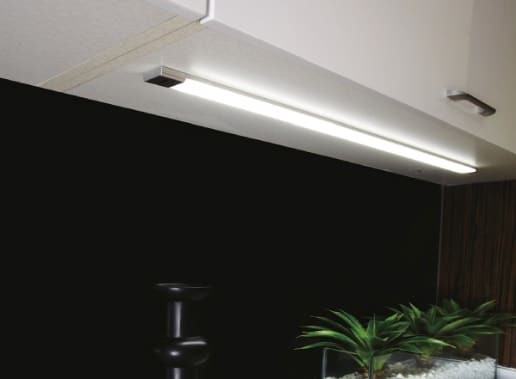 Excel’s Embedded Strip Light is the perfect fixture to go on a decorative spree with. 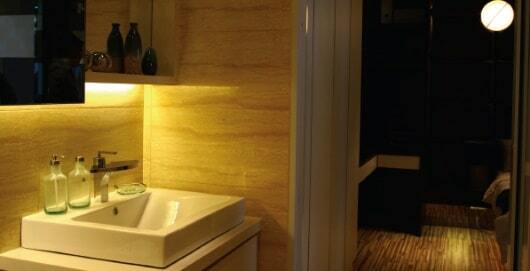 It can be used to emulate accent lighting in all manner of spaces. Whether it’s a study room or a kitchen or a bedroom, you can use this light to illuminate and decorate all sorts of interior designs. Excel’s LED Light is the perfect fixture to create ambient light in any interior design setting. It is available in both warm white and cool white light emission, so you can choose according to your comfort and visual preference. This fixture can be used to illuminate large spaces such as bedrooms, living rooms, etc. So, these are some of the offerings from Excel’s amazing LED collection. As you can see, they’re well-rounded in function and aesthetics, so you can use them to light up all sorts of spaces in your homes!